Like so many ambitious, caring, conscious creatives, you’re probably tired of the status-quo and you so deeply want to follow your bliss and follow your passions, with little or no interest in fitting into any neat and tidy pre-determined box. While many in your life, and the world-at-large, may tell you that you can’t follow your heart and chase your dreams, you have this tugging at your heart that’s asking you to believe in possibilities that logic might say otherwise about. Whether you admit it or not, you’re human, and you likely have doubts about if it’s actually going to work. Q. What makes ALL the difference in speeding up dream realization? A. Having the right support. Sometimes you just need to be witnessed and to receive some serious feedback, someone to gently guide you through implementing the process. Sometimes you need someone to mastermind ideas with, and ask your questions. Someone objective who is committed to helping you go beyond what you may think is possible and realize dreams that may seem out-of-reach, even impossible. 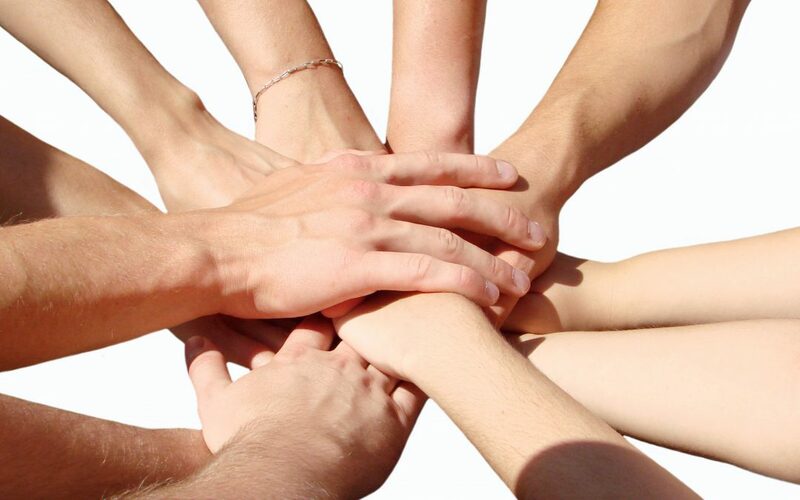 The power of support makes all the difference (especially for us we-should-be-able-to-do-it-all-by-our-self people!). The most common cause of failure is the habit of quitting during temporary defeat. The only way to ensure that you do NOT succeed, is to quit. (Read that sentence again.) Sadly, people do it every day. They quit. They stop, sometimes unknowingly just a few feet from their goal! Often the biggest REASON that they quit is they reach the end of their own abilities, or their own knowledge … and they fail to seek help from others. They think success means doing it all by themselves. Yet going it alone leads to stress, overwhelm and a feeling of isolation. It also means a much more time-consuming process and longer waiting period to the fulfillment of your dream. Driven Dreamers are those don’t want to wait or let more time pass. They ask for and are willing to receive support, now. Because together, we really are so much more. Who do you want on your Dream Team? And why? Where are those areas where you could use more support? Where do you find yourself struggling? What would you love someone to do for you? What are you avoiding because you just don’t know what action to take? You don’t have to go it alone and you also don’t need to make big dramatic changes and take huge risks and leaps to make your dreams real. Even though it might feel like you have to shake your entire life up for things to change …. it’s the small everyday changes, consistently implemented, that make all the difference and pave the way to achieve your dreams. Small steps – if they’re the right steps – can be absolutely transformative and powerfully set you in a new direction, fast! 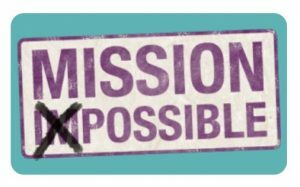 If you’re ready to take those small steps with me, click here to join my FREE 5-Day Mission Possible Challenge! Start today and by this time next week you will SEE the difference! It’s time to dust off those dreams up on that hard-to-reach shelf, or that got locked away, forgotten, or just feel silly, unrealistic, maybe even impossible. Get ready for new discoveries, shifting old worn out patterns and get to know your dreams anew.